Oliva´s Moors and Christian Armies, Marching on their Stomachs! Oliva is a small town South of Valencia on the old coastal road from Valencia to Alicante. It sits in the `comarca´ of La Safor and like all parts of the Valencian Community ( and Spain generally) has its own culinary traditions. It is generally believed to be the original home of the hamburger, called `figatells´ here. These burgers are made from the liver, kidneys and shoulder of pork, spiced with nutmeg and given texture with pine-nuts and parsley and are wrapped in caul-fat to hold them together when being barbecued or cooked on the plancha. 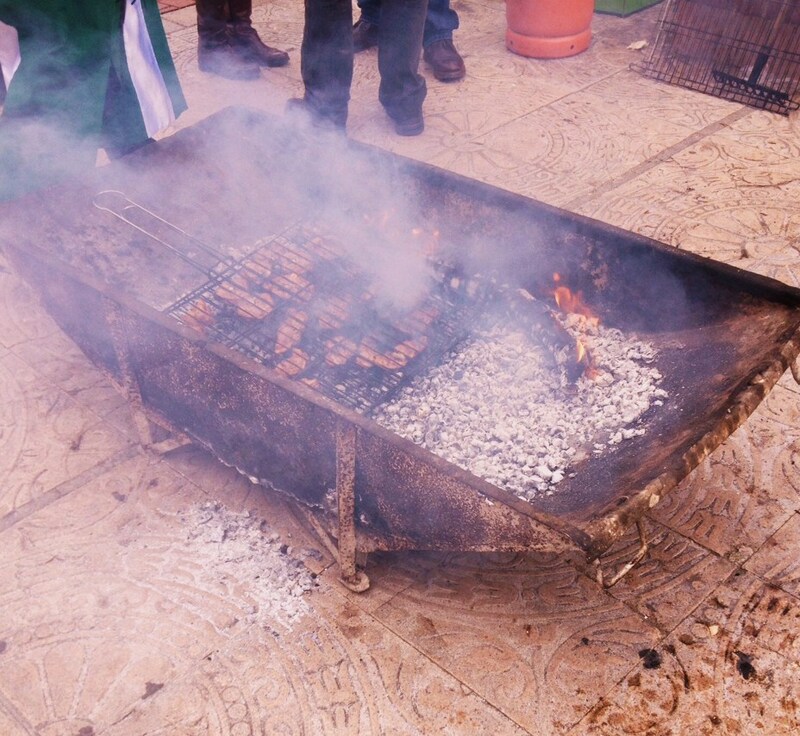 It closely resembles similar North African skewers ( though these are made from lamb!) and `sheftalia´ from Cyprus and parts of Greece and Turkey. Oliva is an old town and has roman ruins. 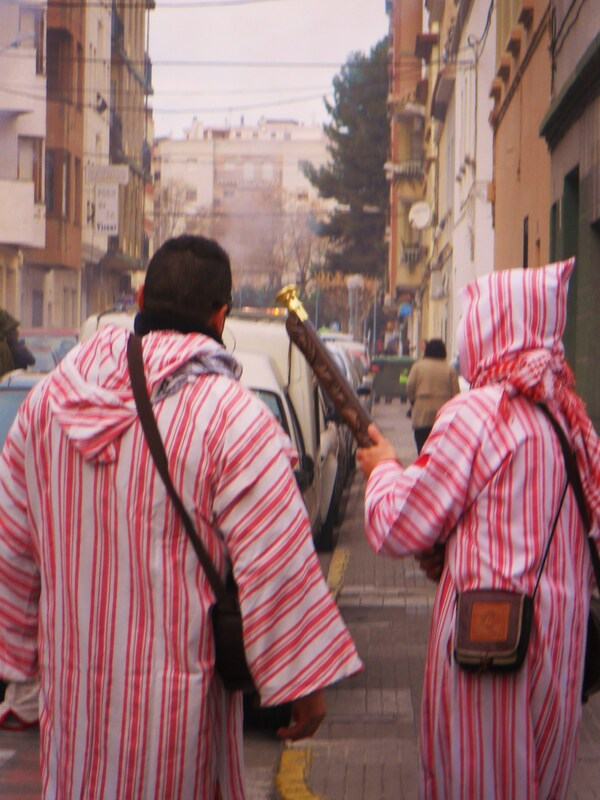 Along with many such towns it has its traditions celebrating not just Fallas, the Valencian Spring festival, but also the Moors and Christians. 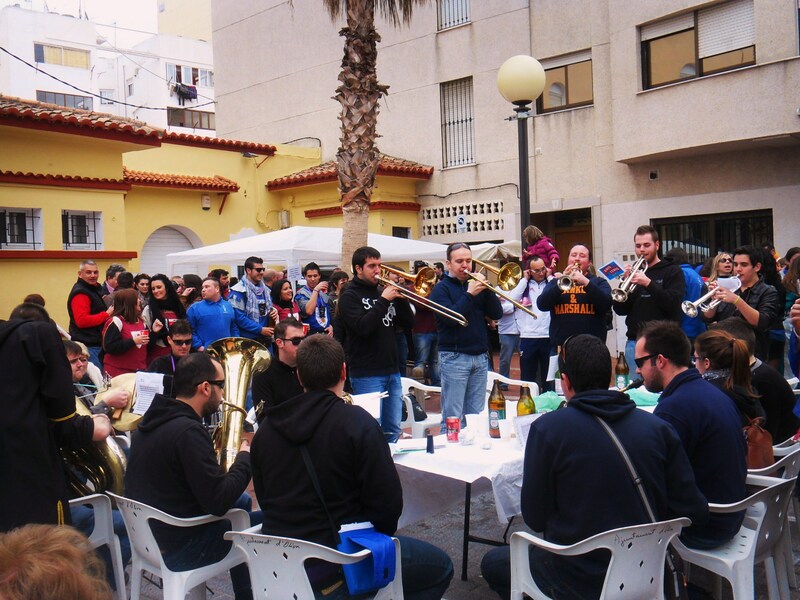 These latter traditions are not exclusive to the South of Valencia but are certainly concentrated in towns such as Oliva and those more in the Interior and parts of Alicante such as Xativa, Alcoi and Sax to name but three. What is commemorated is the conquest of the then Islamic part of Spain, or Al Andaluz, by Jaime ( or Jaume) 1st who stormed Valencia after decisive battles North of the City. Impromptue Dancing in the Square. Today if you go to see a Moors and Christians event you will be dazzled by the colour , spectacle and noise! The two armies are represented by `filas´who parade slowly through towns such as Oliva to the music of a brass band playing marching music, the Christian `Trabuquers´or musket firers whilst the Moors wave scimitars ( though it is by no means an exact science!) Vast amounts of money is spent on costumes, horseriders charge up and down and great fun is had by all! But, this is not a travel guide or tourist blog! Olivas´ food traditions are still important and this weekend has seen two separate food festivals celebrated by the townsfolk! Saturday saw the Paella competition and parades of the tradition Faelleras and Faelleros in their colourful costumes……Spring is after all just around the corner! The paellas here are highly decorated too….the result of there being a prize for presentation which today sees traditional Valencian Paella surmounted by gaudy piles of carved fruit, melon, oranges, lemon and bread amongst other things! 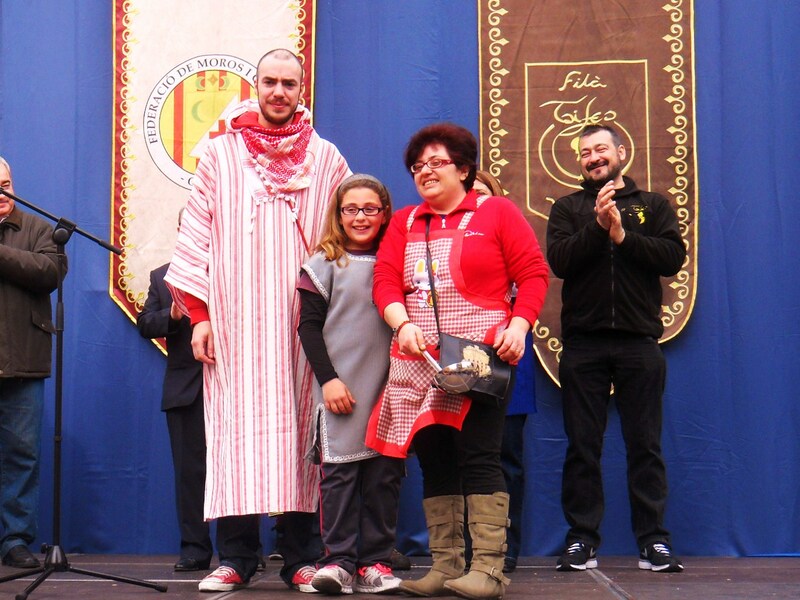 Sunday was the turn of the twelve bands of Olivas´ Federation of Moors and Christians Societies, six of each variety. They began the day very early ( parking had been suspended around the Market square from about 7am) parading in turn throughout the town and up to the castle and back all the while discharging their muskets. I arrived in the square at 10.15 in time to see them return and I do not think they had lost any enthusiasm for their noisy passage! Having arrived there the bbq´s were lit and bocadillos ( French sticks) full of local longanizas (sausage), morcillas (black pudding) and pancetta ( proper thick pork rashers!) were being dispensed with beer, wine, spirits ( particularly anis) and bataxarra ( anis and sweet moscatel wine) being very popular. You may be forgiven for thinking that this fare would be sufficient after the mornings stroll through the streets! No, this is but a warm up for the main dish! Whilst the breakfast was cooking and being eaten the band played and people spontaneously formed up into the lines or `filas´ of the parade and stepped slowly in time, advancing no more than an inch at a time, swaying and sashaying with the simple double step whilst occasionally a `captain´ would emerge and lead them with the flamboyant gestures that go with the role. Quietly sheltered from the breeze, twelve `ollas´ or large metal stew pots were full of putxero, bubbling away over gas rings! Yesterday may have been the half-year ( or migany) celebration and there is no better dish for a celebration than a putxero! It is in fact more popular than Paella Valencia for a fiesta! This is a one pot dish. 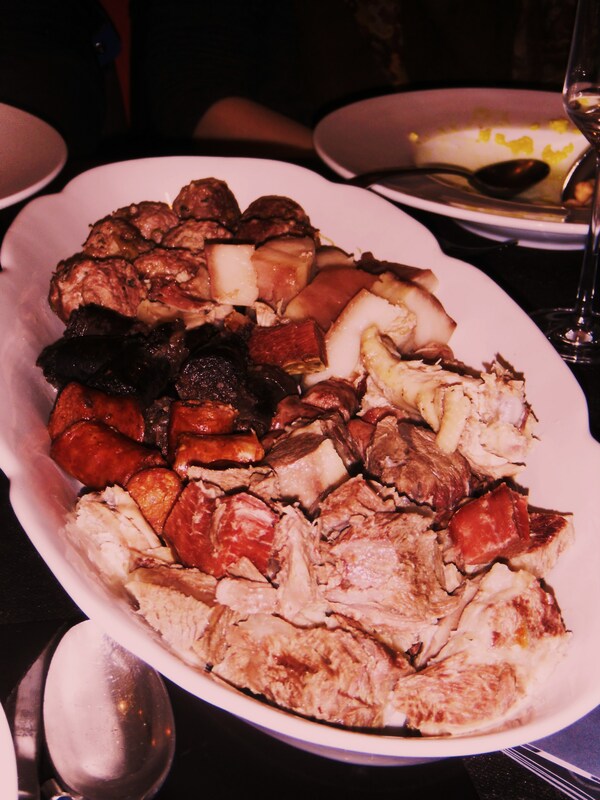 Starting with marrow bones, spine, a pigs trotter and or tocino in water set to boil until the meat is falling of the bone at which point beef shin and chicken and sometimes lamb neck are added. Then the vegetables, cardoon stalks, chickpeas, carrots , potatos, parsnip and cabbage is added. The stock is seasoned and spiced with colourant and salt and the final addition is made, `pilotes´ or large pork meatballs with bread , parsley and cinnamon and/or nutmeg wrapped in cabbage leaves go in. When these are ready so is the meal! I have written about Putxero before and the links are below. The description above is not prescriptive. This is after all Valencia and everyone has their own family recipe so there were twelve different putxeros there to be tried! Having been invited to judge the competition along with a number of local worthies and journalists there was serious work to do! Just after 1pm we retired to the interior of the market where a presentation dish of each was laid out! Outside the filas tucked into their own putxeros and awaited our decision. The last time I did this (in L´Alcudia) the chefs had all been professionals from restaurants across Spain. On this occasion the chefs were all amateurs! But I can say there was greater consistency this time. There were no dodgy stocks ( or caldos ) where marrow bones had been cooked separately, concentrated and added back to give special depth of flavour! The dish here was traditionally presented with all the ingredients on a single charger some embellished with lemon and orange, others with a bit of panache but no decoration. The stock was served in a jug. It was with this we started to check for concentration and balance between spice and salt. Then the pilotes were tasted, to see if they were dry , or spongy, over or under-salted. Next was the green veg ( cardoon is difficult to cook ) to see if it was stringy , melted in the mouth or was mushy. Then the meat, either the shin or chicken was tasted for texture and flavour followed by the chickpeas which also are easily undercooked or lose their flavour when overcooked! Finally the presentation was assessed. Whilst lack of or too much salt was common in the stock, the biggest error for me were the dishes embellished with lemon, the juice of which had permeated the pilotes in at least two cases! The standard was however high and we enjoyed our task immensely! These occasions are not to be missed! The whole day was electric, the square alive with people enjoying themselves, the filas impromptu dancing demonstrating a real unity and camaraderie between the different bands, everyone mixing freely and even the chefs happily slapping each other on the back! One big happy family and it was a huge pleasure and honour to have been part of that family for a day! Not to mention enjoying such a wonderful meal! Thank you to David Veiguela ( President of the Federation), Miquel Angel Font Sempere ( Radio Safor journalist and fellow supporter of the Platform for Gastronomic Information who set it up!) and Deborah Markham of the Fila Pirata who made me very welcome on the day. Congratulations to Fila Corsaris who won this year! 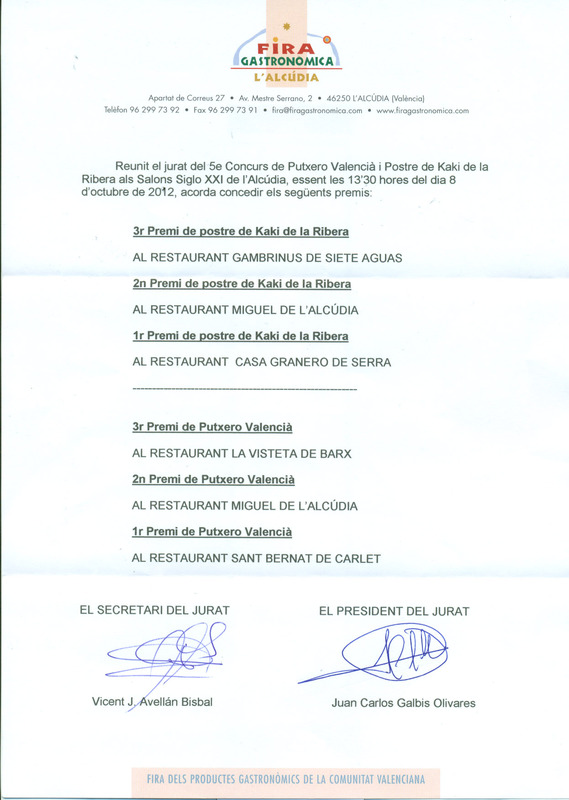 http://wp.me/p16pqB-sV L´Alcudia, Feria Gastronomica and the Putxero competition. http://wp.me/p16pqB-oa In Search of El Gran Putxero, Valencia´s Classic Stew. 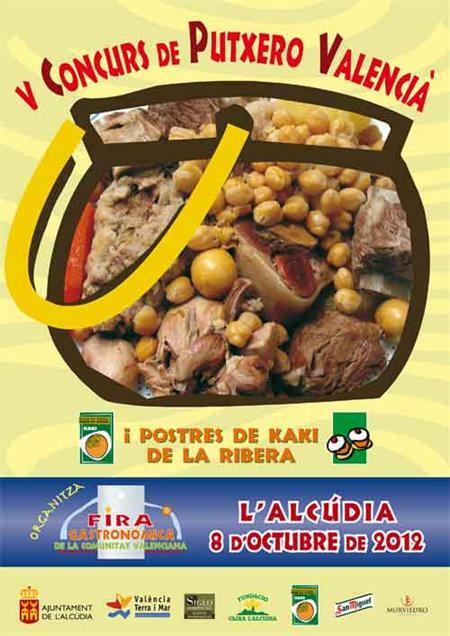 On L´Alcúdia, the Fira Gastronomica and the Putxero Competition! 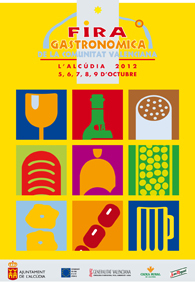 Come the first bank holiday of October, come the first Gastronomic fair of the month. L´Alcúdia, at the centre of the persimmon ( kaki ) growing area in the Ribera Baixa comarca of Valencia holds the first of two extremely good Gastronomic fairs ( the other being Utiel ) in October. Coinciding with the anniversary of the conquest of the moors and Valencia´s `National´ day the fair also plays host to the Concurs de Putxero Valencià y Postres de Kaki de la Ribera. Sponsored by the Town Hall, San Miguel cervezas, Murviedro wines the Valencian Government through its tourist arm the competition ( in its fifth year ) is held in the Siglo XXI banqueting complex. I particularly like this fair because there is such a mix of gastronomy available, much of it local, with an opportunity to buy quality produce at reasonable prices. Not all of it is wine! In fact there were less bodegas in evidence this year than I can remember from previous fairs, probably a sign of reduced marketing budgets, but worthy of mention for continued support are La Encina, Murviedro, Cellar la Muntanya, Torrevellisca, St Vicent Ferrer ( Teulada) and Daniel Belda who always launch the first wine bottled from the current harvest ( Verdil) of any Northern hemisphere bodega. The artisan butchers such as La Casa from Carcaixent bring fresh figatells ( the prototype burger) and blanquet ( a large white sausage) flavoured with orange amongst a superb range of sausages, sobrasadas and other items. These sausages are subtly different from those produced by the butchers of Requena or Menorca, e.g, both of whom were represented as well. Cheeses from several artisan producers such as Granya Rinya and Cati, both winners of awards at world cheese competitions were available along with olives, pickled vegetables, fresh dates, turron ( the almond based sweets of the region) and never mind the crisis, from wood baked bread to Foie Gras and everything else in between it was all flying off the stalls. 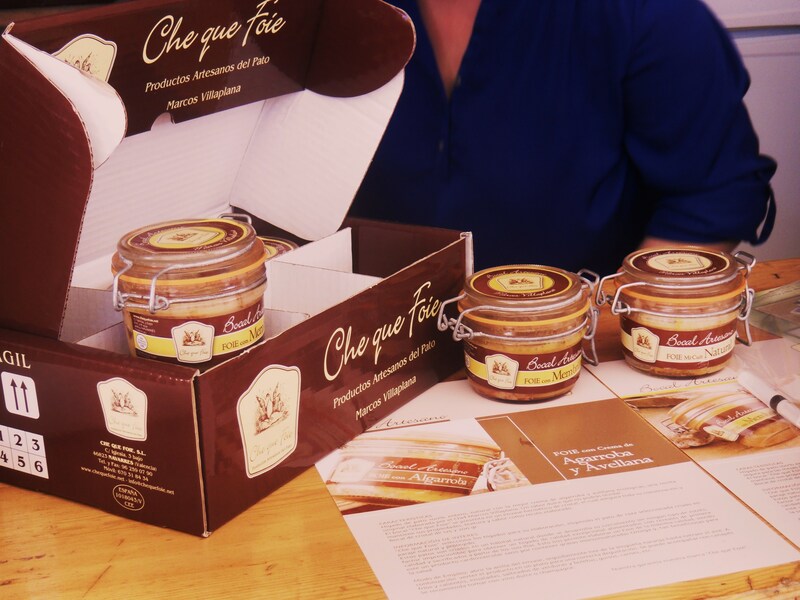 Foie from Che Que Foie. 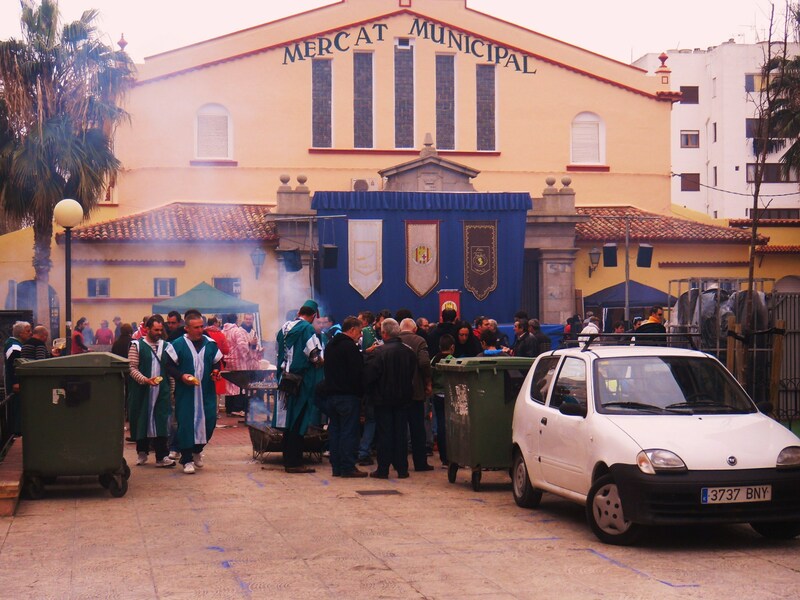 Now, in addition, the town is home to the annual Putxero competition. In February of this year ( archives Feb 17 2012) I wrote a post about Putxero, the classic Spanish `stew´, a one pot extravaganza which you may think is a peasant dish but which actually was a high status dish known right across Europe and almost certainly carried by diplomats and royal chefs as far as the United Kingdom and Austria. There are those who believe its origins lie the other side of the mediterranean in couscous or even as far as the jewish dish prepared for the sabbath. Whatever the truth of this may be it lives on here, in Ireland as boiled ham and cabbage, in the UK in any number of casseroles with vegetables and beef ( whether cooked in beer or wine ) and in France as Pot au Feu. 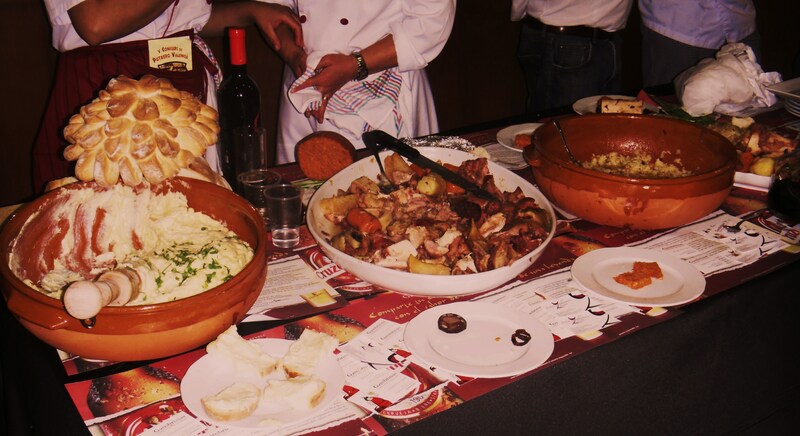 Gastronomy varies in Spain, every 30km or so there is a different version of a classic dish. here in the Ribera Baixa it is exactly the same. Each of the thirteen participating restaurants ( the competition like its Paella equivalent in Sueca is only open to professionals) has to cook the same dish with the same ingredients. These are shin of beef, spine, bones rich in marrow, blanquet, pelota ( a pork burger with spices) , chicken or cockerel, chickpeas, carrots, turnip, potato, parsnip and cardo, ( a giant thistle with edible leaf stalks from the artichoke family). 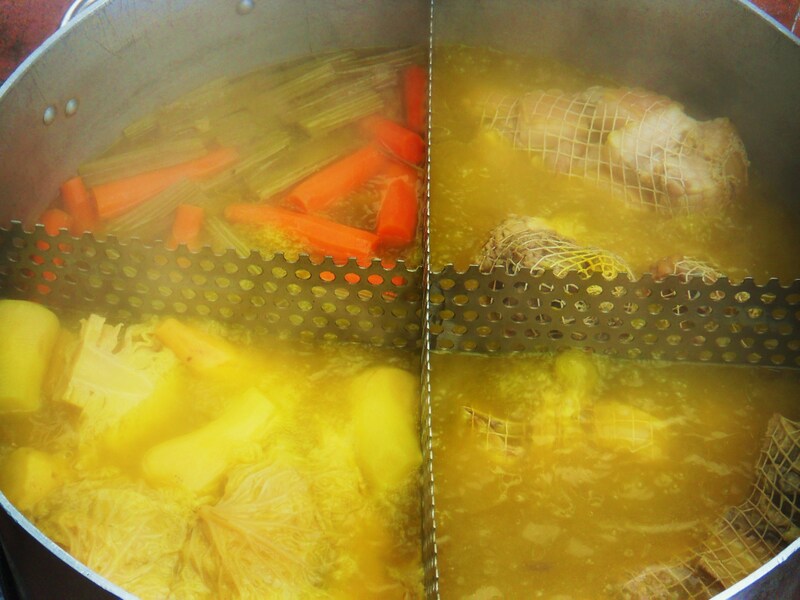 The dish commences with the cooking of the bones in the water to create a stock and the gradual addition of the other ingredients so that all come to be cooked evenly at the finish. The dish is served traditionally in two or three plates. Firstly after the cooking is complete rice is cooked in the remaining stock to create a first dish, rich in colour and with good flavour which the rice absorbs. Secondly the vegetables may be served on a plate separate from the meats or altogether on one platter. Sometimes the pelotas are served wrapped in cabbage separately. This year I was invited to join the jury by the President of the fair, Llúis Ribera. After breakfast taken with the competitors the jury settled down to await the first plates and the President of the jury Juan Carlos Galbis Olivares explained the rules and suggested a uniform system of marking which included marking down for ingredients missing, illegal ingredients or poor presentation including overcooked vegetables, or too little or insufficient seasoning. After that it was simply a matter of flavour and quality! Thirteen Putxeros later I was quite amazed at the range of dishes that had been presented! Looking at my notes now, the range of colours of the stock ranged through light lemon yellow, quite deep golden-yellow and finally to a brown stock to which a concentrated beef jus had clearly been added! Only one of the entrants presented on three plates and each of the remaining entrants had a different serving platter in shape, depth and material ( ie glass or ceramic or terracotta ) some with the vegetables neatly stood up, propped against the meat with the chickpeas forming a base. Each judge tastes the soup and samples of the meat, vegetables and chickpeas to establish a standard. After the putxeros come the puddings, confections made from the persimmon and with a fancy name to describe it! Many of these dishes incorporated the kaki in mousse, yoghurts or ice cream and there was a flan, typical of many home-made restaurant puddings but three entrants had gone to town and matched flavour with artistry in the presentation. After the session there seemed a unanimity that the entrant with four separate elements to the dish served on a gilt framed mirror had produced something quite outstanding and it was no surprise that this was the overall winner. 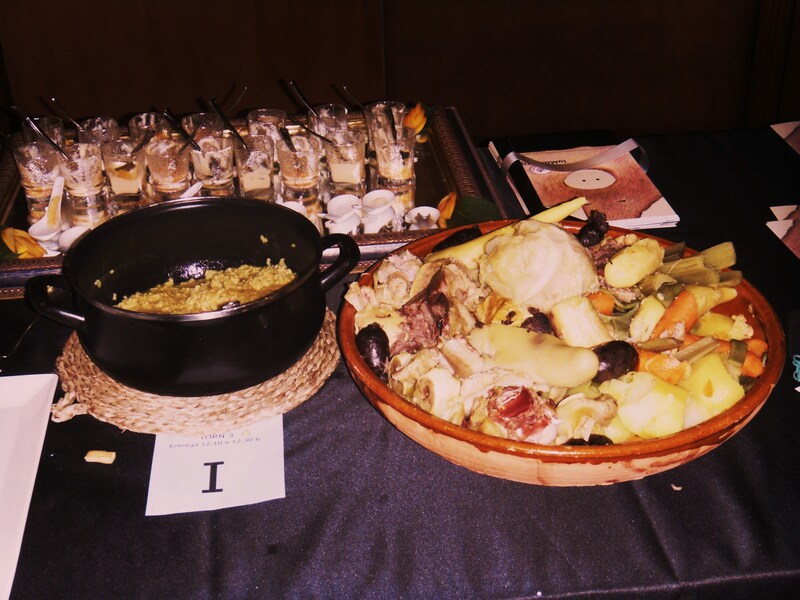 Valencian starters, followed by…..putxero and desserts made with kaki! This was an unforgettable experience, a great honour and a day which I will treasure for ever. In Search of `El Gran Putxero´! 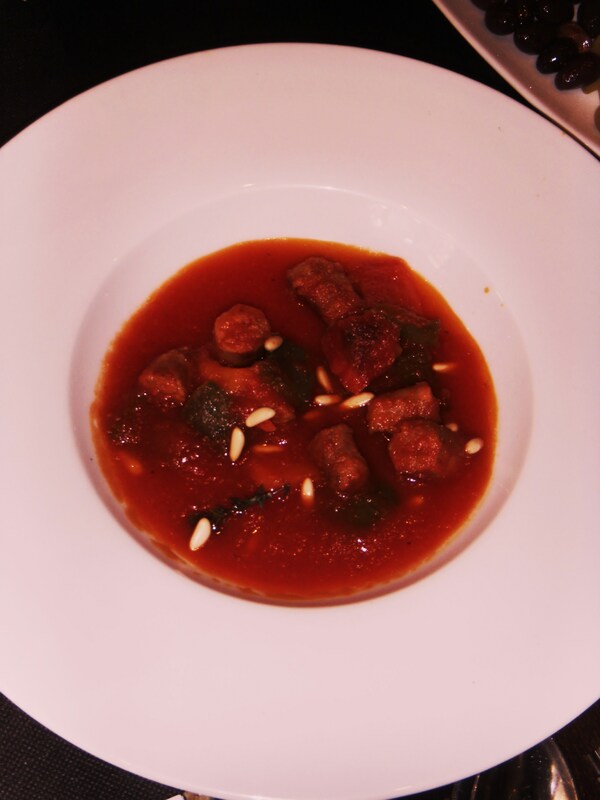 – Valencia´s Classic Stew. Every country in the world has its traditional Winter recipes, often hearty stews of meats and vegetables cooked in a single pot. In France it is Pot au Feu, often made from different cuts of beef including shin and ribs, with carrots, cabbage, potatos, etc in a good red wine stock. 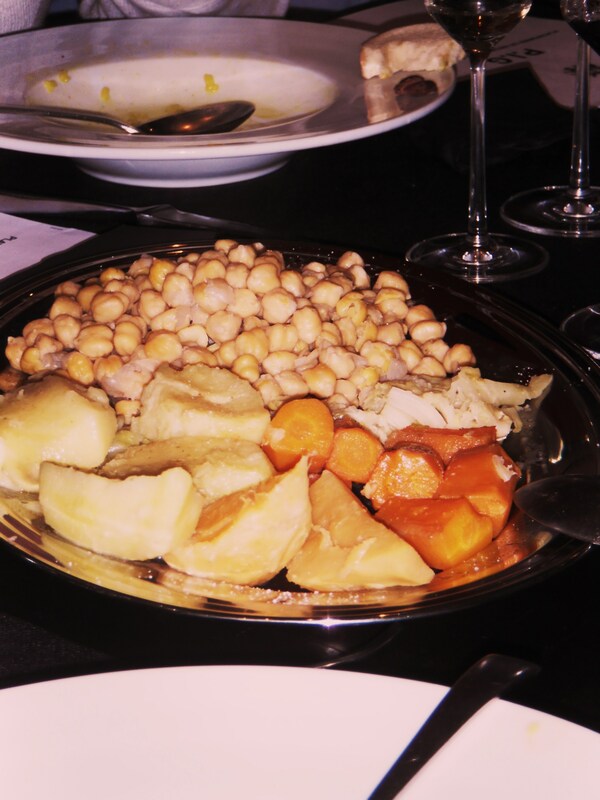 In Spain the dish is Olla Podrida, a mixture of beef, ham, bacon, chicken, sausages cooked with chickpeas, cabbage, celery, carrots, parsnip and turnip. 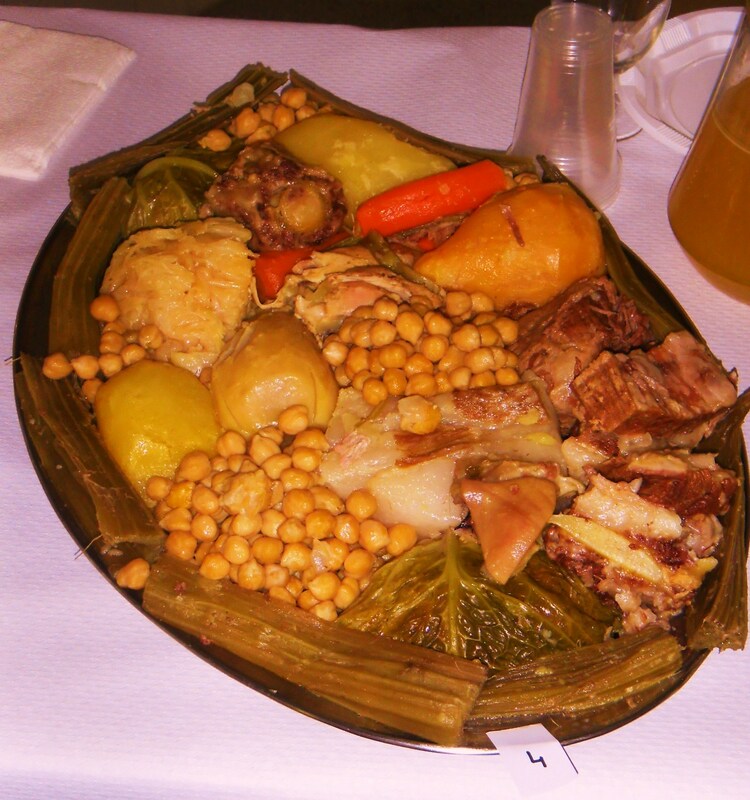 But olla podrida or `rotten stew´ is just one name, it is probably the generic for a number of regional dishes which differ in the odd ingredient here and there and which are also called Cocido de Pueblo. There is also a school of thought that `podrida´ is itself a bastardisation of `poderida´which means succulent or powerful. In Valencia ( language and region) it is Putxero but not many people know that similar dishes are well known throughout Europe, with regional differences. in Portugal, in France ( Gascony and Brittany) and in the United Kingdom ( where it now has consolidated into bacon boiled with cabbage) and even in Austria. Quite how the dish spread is unknown, it could well have been by traders but given that in the 17th century it was a well known and high status dish as far from Spain as Austria it is more likely to have been spread by Royal inter-marriages and diplomatic missions. I had never tried the dish until last November, and then not on a particularly cold day but it was one of the classics I had wanted to try for some time. 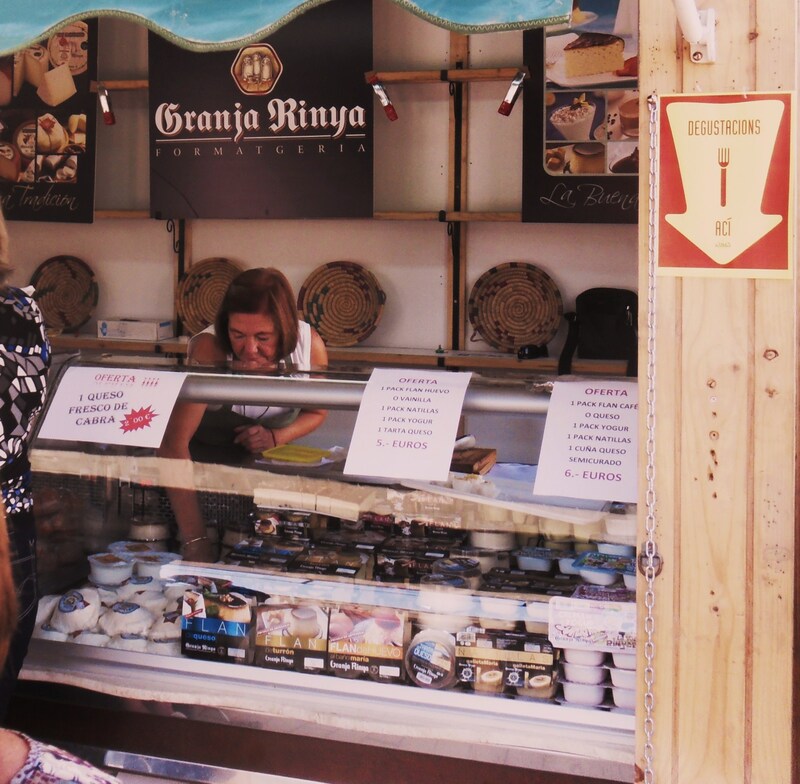 You can go to the local butcher and stand behind one of the village´s granny´s doing her family shop and when that includes the ingredients for Putxero (asked for individually, each piece inspected for size etc) it can be a long wait until your turn. Soup with Rice. First Course. There is a third alternative. The Valencia region is well known for traditional restaurants where local dishes are cooked with authenticity and loving care. These are not always expensive city venues either, just about every town or village has a local bar, used by the community and passing trade on a daily basis where the local variations are regularly cooked. Valencians, and those like myself who have fallen in love with the local food often discuss these traditional dishes and one such forum is to be found on Facebook where around a thousand members participate in P.I.G , the `Platform for Gastronomic Information´, led by TV personality and blogger Paco Alonso, or Pacoalanaranja. The forum often includes fierce debate on what should or should not be included in dishes, not least recently over the creation of a D.O. for Paella Valencia. Thus, when offered an opportunity to join the first lunch organized by the group in `DeValencia´, ( Plaza Pintor Segrelles) to eat authentic Putxero cooked by Ángela Valero, accompanied by the wines of Chozas Carrascal, it would have been rude not to go! 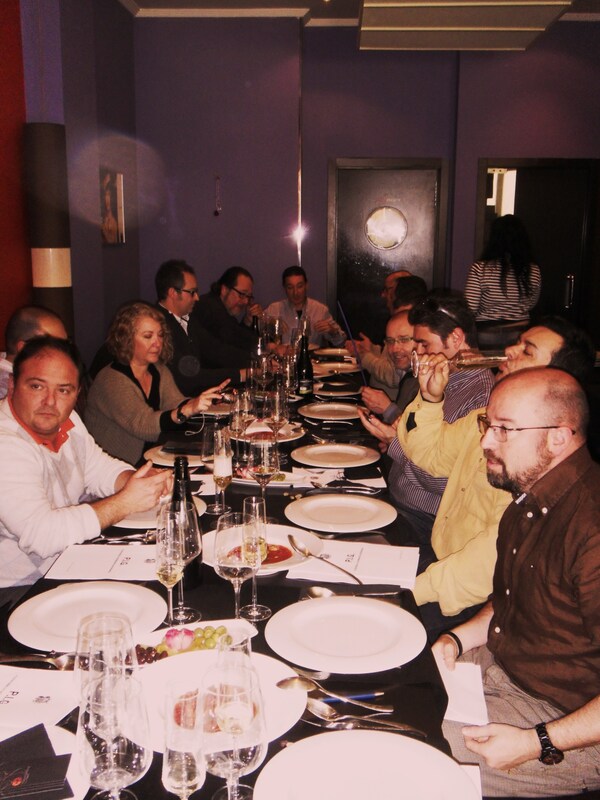 Some nineteen gastronauts attended, including some fellow bloggers. We commenced the meal with some light tapas, a pisto with chistorra and patatas bravas. The putxero itself was a tour de force! Traditionally the dish is served in three stages, the first being a bowl of soup (or the cooking broth). 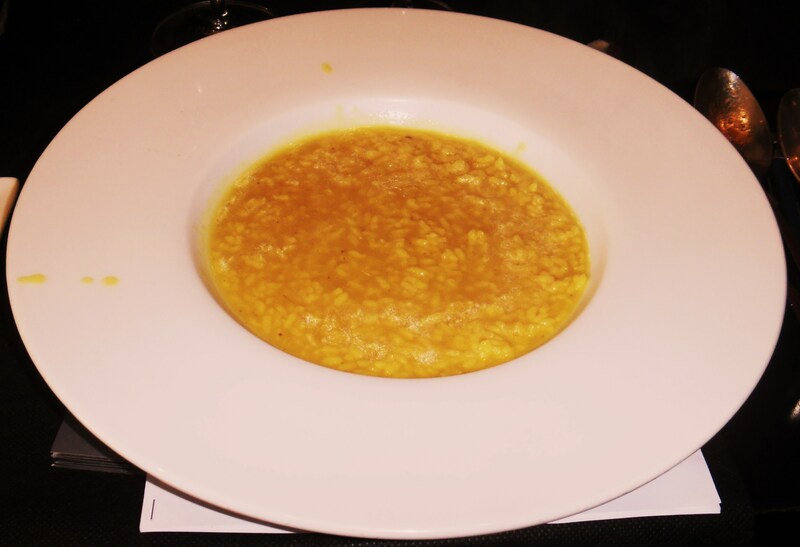 Ángela serves hers as a rice dish, like a bowl of arroz caldoso. With added saffron the dish was light and full of flavor. 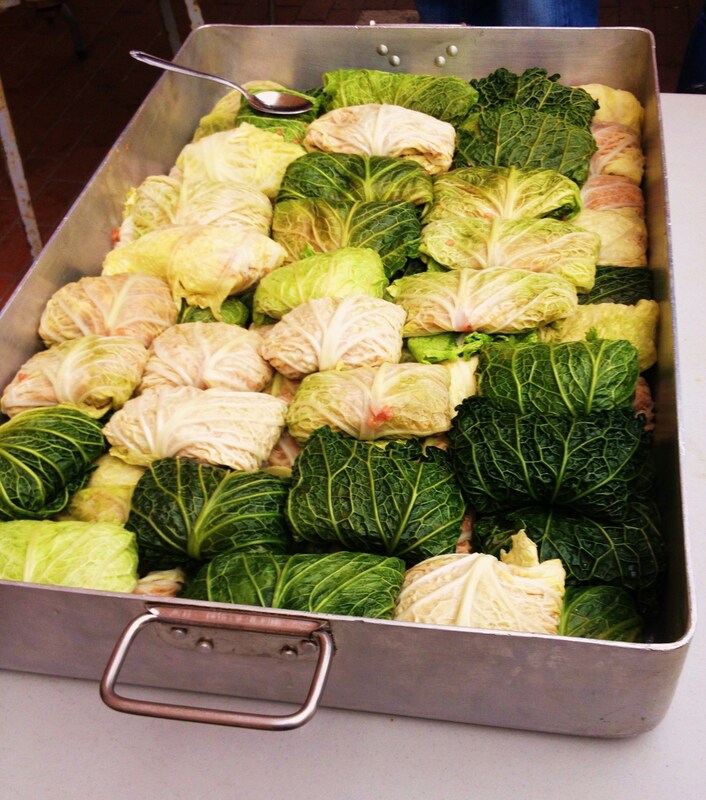 Second course sometimes are the pilotes wrapped in cabbage leaves. Here we were treated to the vegetables, potato, chick-peas, carrots and cabbage and the meats were served separately. Ángelas variation does not include cardo (Cardoon, the giant artichoke thistle leaves) parsnip or turnip because it is her mother´s dish and she did not like them! The meal was accompanied by the excellent wines from Chozas Carrascal and we enjoyed the Cava Brut Nature reserve (from 2008) with the starters, the Las Dosces 2010 Tinto Crianza with the soup and the Las Ocho 2008 with the putxero. All were a perfect marriage with the food. Interestingly the Cabernet Franc which had been intended to serve with the main course arrived with the pudding! Simple rings of the regions famous oranges had been laid on a plate and dusted with cinnamon and granulated sugar. This big wine not only held up against the sweetness of the dish, it positively complemented it! The restaurant itself goes onto my list for further visits as Ángela cooks a range of traditional Valencian dishes. 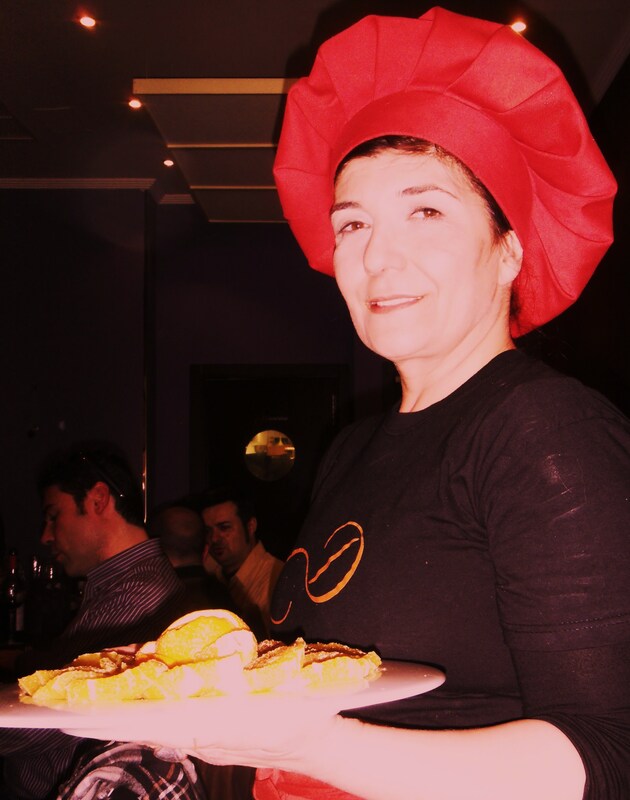 Ángela Valero, Cocinera at DeValencia. In conclusion there was a very happy group at the end of this meal which showed just how good relatively simple dishes are and which showed this particular Valencian classic to be a truly worthy member of the canon of Valencian gastronomy! It is well worth having a go yourself!